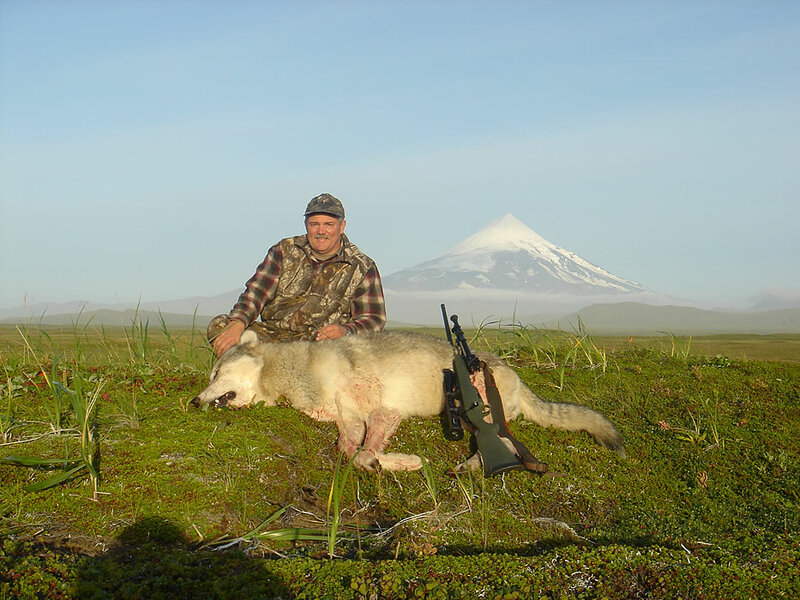 It is not often an environment exists where wolves can be hunted with a very high success rate, as is the case on Unimak Island National Wildlife Refuge. Unimak Island currently has an extremely large wolf population with a declining caribou herd. This high wolf/low caribou ratio, along with very little hunting pressure, has created the perfect hunting opportunity. Wolves are concentrated near their food source in an environment that has minimal cover. The hunters that decide to take advantage of this situation can expect a unique hunting experience with multiple harvest opportunities. These hunts are conducted out of comfortable tent camps. These camps are portable, and provide the ability to consistently stay in close proximity to the most optimum hunting scenarios.